Stores open 7 days a week, from 11am till late. A family of fishermen since 1927. 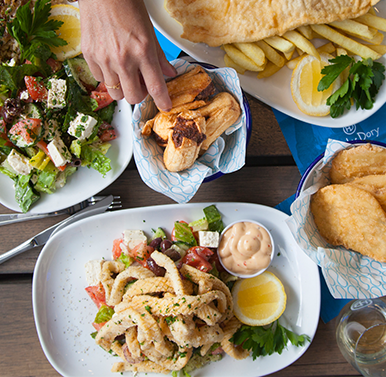 Inspired by almost 90 years of fishing on the Greek Islands, Hunky Dory was established in 2004 as a family business with a vision to offering healthier seafood options along with the more traditional fish and chips. 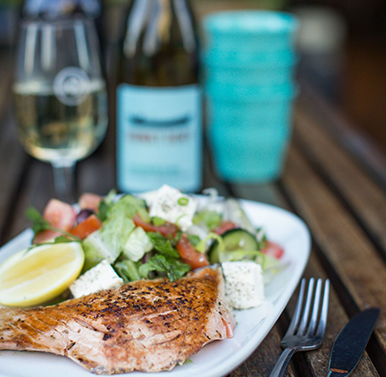 Whether it’s a delicious grilled fillet of Salmon or Whiting, Greek or spinach salad and a healthy serve of brown rice, there’s something for everyone. 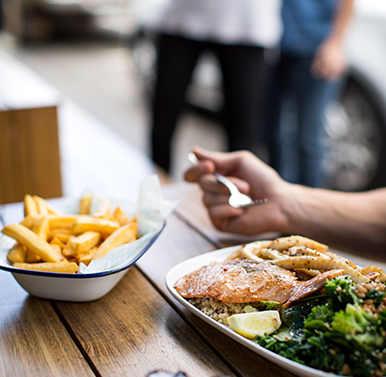 Traditionally fish and chips have been a take away food, but we wanted to create a comfortable and casual setting where customers could dine in and enjoy a glass of wine or a beer with their food. Our aim is to be the best at what we do. We take pride in preparing and cooking fresh, tasty and healthy meals made to order. 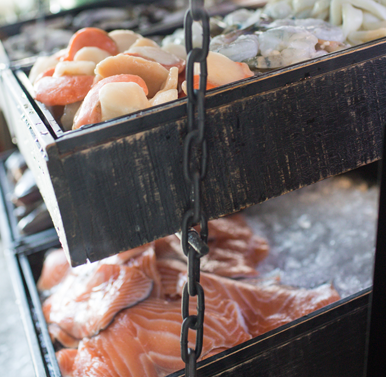 Our mouth watering seafood is delicious and tasty incorporating unique marinades and sauces that will keep you coming back. 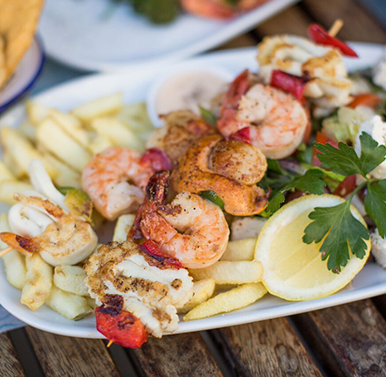 Our menu provides many healthy options such as simply grilled fish and wholesome salads to create a perfectly balanced meal. 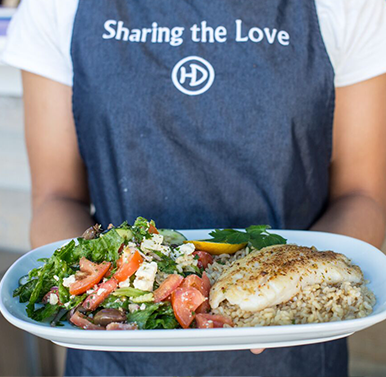 At Hunky Dory, you’re part of the family. The fine print: Prices were correct at November 2017 and are subject to change. 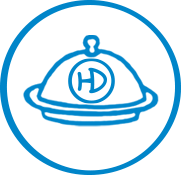 To help our team meet your dietary needs please inform them of your requirements and they will guide you through the best options available. 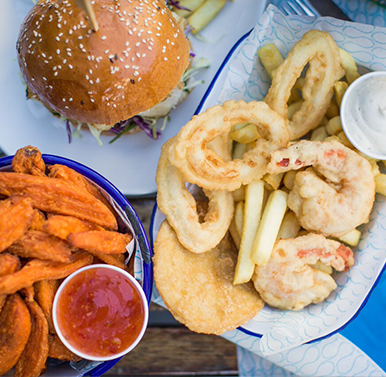 Please note that our food is prepared and cooked in the one kitchen so we can’t 100% guarantee any gluten/nut/fructose free and vegetarian meals. If you are unsure or have a serious intolerance, we would prefer you don’t order our food, as we’d be upset if we made anyone unwell or unhappy. Open 7 days a week, from 11am till late. We offer indoor and outdoor dining options at our fully licensed stores. We offer take away and package everything to ensure all meals are fresh and tasty. We believe that our people are our greatest asset. We care about your ambitions, your personal satisfaction and your achievements. 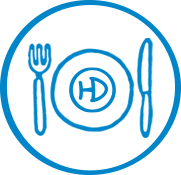 If you are interested in joining the Hunky Dory team, please fill in the form below and attach your CV for consideration.